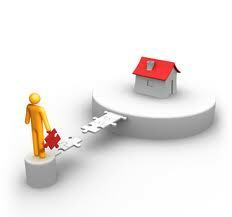 Loans Acceptable is proud to have unique Bridging product on Sold Property as well as the estate agents commission. 1. Why wait for your money when selling your house! Loans Acceptable offers their clients, bridging of a house sales AFTER IT IS SOLD and the seller don’t need to wait for registration on his property and/or his funds. We can bridge up to 80% of the value that will be paid out to the client, after registration of the sale. 2. Why wait for your commission! Loans Acceptable has a supplier who has designed a package specifically for estate agencies, allowing the agent to have greater control over their cash flow, and by granting them the freedom to focus on their sales. We can bridge up to 80% of the agents commission. 3. Bay over of the property with a new bond, for 12 months to pay. This is for clients who wants to consolidate debt ext. Al applications are considered on their own merit and approval is subject to the discretion of our Credit Committee.